When life gives you expensive lemons, you better make sure you make as much lemonade as possible. My answer: blend the best of both of those worlds. Let’s target those high-quality users once on the LinkedIn platform, then leverage smart retargeting lists to get in front of them on other, less costly channels. The first step is to do what you’ve likely been doing on LinkedIn all along: build amazing audiences to get in front of. How many years of seniority do they have? Choose the Account Lists option to upload a list of company names. Then layer in job seniority to hit the decision makers we are after. Presto! We’ve built our audience. There’s just one more piece of housekeeping to take care of on the LinkedIn platform before we’re able to maximize these lists. Tip: Keep audience size in mind with this strategy. Our end goal is to leverage retargeting lists on platforms outside of LinkedIn. To do so, we’ll have to make sure our retargeting lists reach the minimums for those platforms. This means our target audience needs to be large enough to make sure we’ll have enough users to retarget after we’ve narrowed down to only those who clicked on our ads. 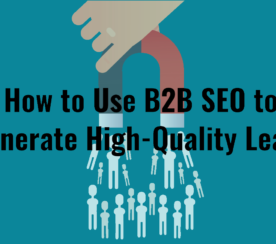 I would encourage you to stay on the higher end of this scale when building target audiences so you’re able to follow through with this strategy on Google, Facebook, and other places you’re intending to retarget LinkedIn users. 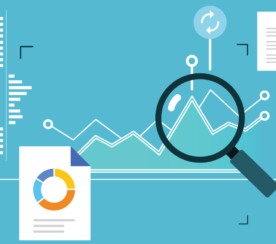 Ideally, you’re already leveraging UTM tags to track the performance of your campaigns in either Google Analytics or a CRM. We can piggyback off the work you’re already doing to create our retargeting lists. Overall, the biggest hurdle is to stay consistent so any audience you roll out will be easily followed to other platforms. I always start with the same combination of source/medium: linkedin/cpc. Anyone who comes to a site with those parameters is coming from a LinkedIn ad, so they’re easy to segment for automatically. The remaining UTM parameters can be used to help segment audiences further based on the targeting used to reach them in the first place. Use the campaign, content, and term fields to further narrow the audience. In this example, each of the fields following source/medium helps me know exactly who I’m targeting within the Fortune 500 so I can further segment later on. Tip: When developing your UTM strategy, don’t forget this can be a place for competitors to spy on your strategies. The UTMs above make things explicit for the purposes of example, but it may make sense for you to adjust campaign names, targeting options, etc., into formats not as easily recognized by your competitors so they can’t spy on your strategies. Now that we’ve tagged our users accordingly, it’s finally time to build those retargeting lists! Head into your targeting platform of choice and hop into the audience builder. For this example, I’ll use Facebook. To segment out the users from our LinkedIn campaign, I’ll create a list of people who visited specific webpages and add in the parameters necessary for the list I’d like to make. At this stage, I want to target all users from my LinkedIn targeting. If I wanted to only segment for the CXO seniority I targeted above, my list of parameters would include another field for CXO as seen below. Now that we’ve built these audiences, it’s time to put them to good use. Add these audiences into your retargeting strategy for each of the additional platforms. Because they were originally targeted on LinkedIn and tagged to your liking, you can be confident you’re reaching only those users that fit your LinkedIn targeting parameters. Browse the web via the Google Display Network, Bing Audience Network, Yahoo Native Ads, AdRoll, etc. Are scanning social media posts on Facebook, Instagram, Twitter, Pinterest, etc. Engage with online communities on Quora and Reddit. Search for relevant goods/services with Remarketing Lists for Search Ads in Google, Bing, and Yahoo. The strategy outlined above is ideal for those who want to reach users based on LinkedIn targeting options, but don’t want to continuously pay the high priced CPC. To pull this off completely, there’s one additional list to make: an exclusion list. Once someone has been to your site from a LinkedIn campaign, assuming you’ve set up a complete set of retargeting lists, they’ll find their way into your retargeting strategy on those other platforms. This means we no longer need to target them on LinkedIn. Head into the Account Assets, Matched Audiences section of the LinkedIn interface. There, simply make a retargeting audience of all website visitors and exclude them from your LinkedIn campaigns. This list can include anyone who has been to your site, regardless of source. Using this exclusion list, you’ll save yourself from paying for a user who has already been to your site and will be retargeted for a much lower CPC on other channels. 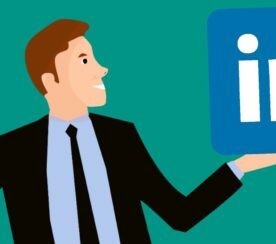 LinkedIn can be an amazingly powerful channel when trying to reach a B2B or professional audience, but it comes with a price. Leverage those targeting options for a first touchpoint, but then use smart strategies to re-engage with those high-quality users for a lower cost on other platforms around the web.